Diabetic neuropathy is not fun. I recall a patient in tears; he didn’t want to get out of bed because he knew standing on his feet would hurt, but staying in bed hurt. Once things get to this point, there are few options for the patient with painful diabetic neuropathy. 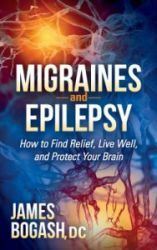 Mainstream medicine will usually throw medications at the problem, such as Neurontin (gabapentin) or Lyrica. Diabetic neuropathy is a process that begins long, long before the pain starts. Frankly, it starts even before the diabetic diagnosis. You see, every point along the “diabetic spectrum” is dangerous for you. That means being prediabetic is very bad for your health. But regular readings of the Rantings already know this. If you need a little brushing up, you can read prior blog articles by clicking here. Basically, when the body begins to poorly manage blood sugar, one of the first tissues affected are the nerves. Your nerves require a tremendous amount of energy to function and the diabetic spectrum affects the way that cells use glucose for energy. Yes–this means that your painful diabetic neuropathy begin decades ago. Decades. All of this means that doing everything to manage your blood sugar is of the utmost importance. Certain supplements, like Coenzyme Q10, have been shown to delay onset of diabetic neuropathy (you can read about this in a previous blog article that can be found by clicking here). This applies before the painful neuropathy starts as well as after you begin to experience symptoms. So what can you do? This particular article gives us some information about an additional tool to use for painful diabetic neuropathy. Our office has had a whole body vibration unit for quite a few years now. We originally purchased the unit for its benefits on bone density, but quickly realized that patients who had circulation issues, leg pain or diabetic neuropathy. 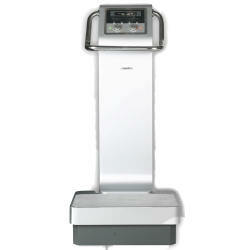 As a matter of fact, one of the common side effects found with whole body vibration is an itching redness of the legs. This is because of the increased blood flow. Increased blood flow means more nutrients to the nerves in your feet. More nutrients to the nerves in your feet can help with the pain of diabetic neuropathy. So what did researchers find in this small study? Sessions were 3 times per week for 4 weeks. Treatment time was 3 minutes. Scores on the VAS and the Neuropathic pain scale (NPS) were improved in this short period of time. So basically, a mere 36 minutes of vibration therapy was enough to make significant changes to the pain levels in these patients. Pretty impressive. By the way, that patient I described at the beginning of this article? We used our laser unit and he spent some time on whole body vibration. With a single treatment session, his pain was vastly improved.